Fabulous chance to own a Mesa sports themed restaurant with a #12 license, big bar, dining areas, patio and lots of opportunity for hands on full service restaurant operator. 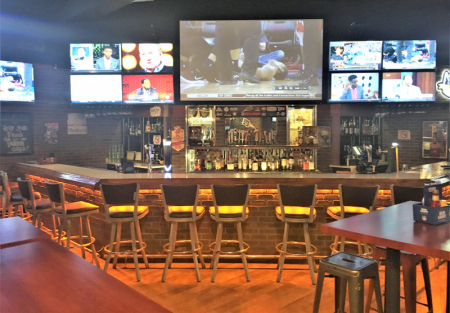 This newly remodeled restaurant is designed for high volume sales centered around great food, beverage and sports and TV viewing. This freestanding 5,024 sq. ft. building seats over 126 persons. Super Location is on very high traffic street and in a great neighborhood center. Class A+ build-out brick and lots of old style wood with a large patio Super kitchen can cook any style of food. Here the best part this sports bar comes with a huge separate walk-in BEER cooler that can hold all the kegs and a bar door for ice cold beer mugs. Comes with a walk-in cooler and a walk-in freezer. ALL THIS FOR A AMAZING LOW PRICE…DON’T WAIT CALL NOW. This is a MJS Business Sales, LLC. an Arizona Limited Liability Company listing. DISCLAIMER: The User (that's you reading this) of this Website understands that MJS Business Sales, LLC. ("Broker") or its agent(s) do not audit or verify any above information given to or gathered by Broker or its agent(s) from Seller, our Client, or make any warranties or representations as to its accuracy or completeness of the information provided, nor in any way guarantee future business performance. The User should perform a complete and detailed due diligence on the business and or real estate before buying it in addition to seeking professional advice from an attorney as well as a CPA. In some cases, forward looking statements may have been made but these statements are absolutely no guarantees of future performance of the business as each User has differing skills sets to either grow the business or kill the business. Owning a business is a risky venture, but can also be a rewarding one. The User of this website is solely responsible to examine and investigate the Business and or real estate (if included in the sale), its assets, liabilities, financial statements, tax returns, and any other facts which might influence the User's purchase decision or the price the User is willing to pay. In most cases, the Broker represents the Seller who is our principal, but the Broker owes the User a duty of fair and honest dealings. Any decision by User to purchase the Business shall be based solely on User's own investigation and the User's legal, tax, and other advisors and not that of Broker or its agent(s). Any listing information may change at any time without any notice to User and User should often review the listing on the website to keep up to date.